Consumers are increasingly buying more experiences and less products. Many consumers are beginning to abandon the online shopping cart due to fatigue and seeking something beyond just a transaction to get inspired offline. The online shopping experience has become so bland and undifferentiated its making consumers look elsewhere. Turning the online shopping environment into an experience will be key for 2018. Having a brown package dropped off at the consumers door like everyone else will not be a differentiating experience that builds customer loyalty. 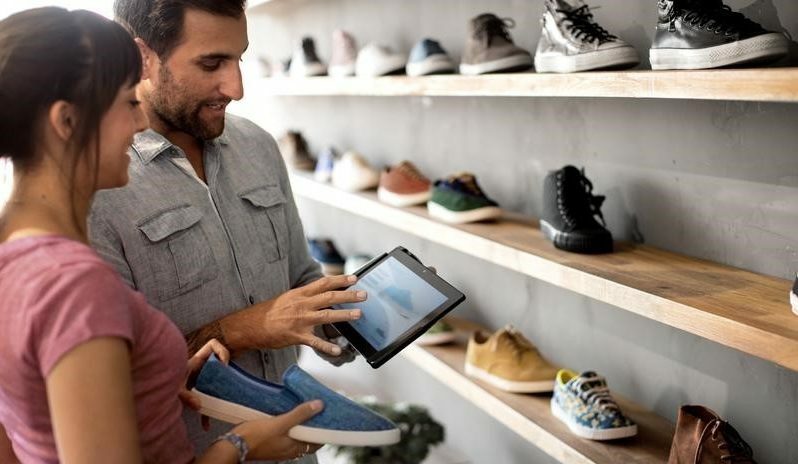 Customer experience is set to become the currency for retail brands. Retailers are recognizing they don’t need to constrain themselves to the items within the four walls of their store. By being open to selling anything in their vendors catalogue, sales associates can be savvy guides to assist shoppers find the perfect product for their lifestyle. Representative samples and perhaps a small amount of on hand stock will be all retailers carry. The traditional pre-book/pre-season loading up retailers with product is ultimately not what’s best for the consumer or retailer. In this traditional wholesale arrangement retailers are forced to sell items they have in stock the consumer may not want and saddled with excess inventory subject to steep discounts impacting margins and brand value. To accurately represent a brand, retailers will carry fewer brands overall, less inventory but more showroom models to display and focus on providing the product that best fits the consumer, whether in store or not. Brands that do not give retailers the tools to place more frequent but smaller orders will feel the pain. To go along with showrooming, consumers are more open than ever before to go into a store and place an order online. Nearly 70% of millennials use their mobile device in store already to affirm their purchase with customer reviews. Placing the order online in the store is the next logical step and rather than fight it, store associates will embrace using their vendors website to place orders with. This could include home delivery of their items rather than having to come back to the store. Retailers are realizing that they have under invested in the most critical resource at the store level, people. Top retailers will invest in sales gurus who can learn products and sell them. Up until now they have been paying sales staff minimum wage to check consumers out and stock large amounts of inventory on shelves in a cluttered and messy shopping environment. This is all set to change as retailers embrace showrooming and stores become a more welcoming experience driven environment. The changing of guard to invest in people is already underway. Brands are fleeing mass merchants in droves as department style retailing is coming to an end. These retailers are only surviving on discounts and overexpose a brand where the craft value is lost on the consumer. As more consumers that actually buy things, millennials and Gen-Z, move towards bigger cities the suburban environments most box stores serve will stall. The over-expansion of retail space weighs heavily on big box retailers as they are burdened with debt and declining sales as they lose relevance to modern next generation consumers. Focusing on specialty retail to capture more floor space and mind share will increase in importance as they are more nimble and quick to define retail trends. Conversion rates for customers visiting online retail sites are 3 percent and declining, versus 20 percent for those entering stores. e-tailers face significant return rates as well and will struggle where omnichannel has local return depots. Ecommerce is a tough business and instead the future belongs to omni-channel retail. 73% of consumers are already omni-channel shoppers as the line is completely blurring between what is an online sales and what is an in-store sale. Online only companies in droves are going to be targeting brick and mortar as a growth/survival channel to boost sales, profitability, lower customer acquisition costs, and create better customer experiences. Last mile retail moves beyond simply just buy online and pick-up in store to include local deliveries by retailers delivering the ultimate in convenience for consumers. Local retailers will serve as assembly and delivery hubs for big ticket items consumers don’t want sitting on their porch subject to theft. The consumer’s primary problem is no longer the scarcity of products but rather the scarcity of genuine, human, social connection. Great retail — if it’s sensitive to this condition — can fill the void and bring a sense of belonging with community. Retailers have removed the barriers between their online and brick and mortar channels. Branded manufacturers need to do the same to focus on customer experience over profit to remain relevant to the consumer. Customer experience is the currency of today that will separate the winners from the losers. With this, more online only companies will continue investing in brick and mortar stores. This includes branded manufacturers opening up flagship stores and online only retailers gutted by Amazon seeking brick and mortar as a safe haven. Voice ordering for fast moving consumer goods will only take off if they play nice with existing distribution channels. Voice by itself will not be enough, a streamlined hand off between voice and established eCommerce channels will be critical for the growth of voice. A new class of “experiential merchants” that use their physical stores and online assets to perfect the consumer experience across a category or categories of products. They will define the ideal experiential journey, employing expert “product ambassadors” and technology to deliver customer experiences that are truly unique, remarkable and memorable. So memorable that they leave a lasting, positive experiential imprint on the shopper’s psyche. The solitary aim of these new-era retailers will be to drive significant sales for their brand partners. But unlike stores of today that are single-mindedly focused on four-wall sales, experiential stores of the future will position themselves as true any-channel hubs. They will serve customers through multiple means of fulfilment that will include their own channels as well as direct-to-consumer sales from their brand partners. In 2018, the World’s largest brands will more clearly than ever before, foreshadow an entirely new and revolutionary era of retail that looks like the aspects mentioned above. As most brands look to leave their retailers for dead with a direct-to-consumer only approach, the best brands will give their dealers the tools to sell more and create better customer experiences in person together. These experiences will stand out as they cannot be produced online and actually build brand loyalty by moving beyond just the transaction. Do you have the tools in place to take advantage of these trends and want to see what’s in store for 2018? Feel free to contact us to see if we can help you prepare your 2018 game plan.